Time travel, microbes, black holes, and polar bears. There’s something for everyone on this year’s list of best science books. Maria Popova, founder of Brain Pickings, andScientific American editor Lee Billings join Ira to weigh in with their top picks. 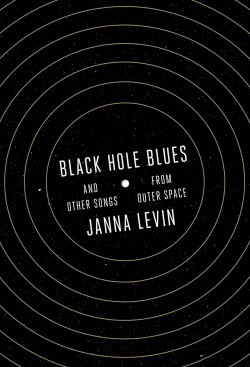 Cosmologist and novelist Janna Levin tells the story of the c entury-long vision and half-century experimental quest to hear the sound of spacetime by detecting a gravitational wave. With a novelist’s flair for unraveling the universal through the specific, she chronicles LIGO’s particular scientific triumph in order to tell a larger story of the human spirit, its tenacious ingenuity in the face of myriad obstacles, and the somewhat mysterious, somewhat irrational animating force that compels scientists to devote their entire lives to exploits bedeviled by uncertainty, frequent failure, and meager public appreciation. What emerges is pure signal from cover to cover. Read more on Brain Pickings, listen to Janna Levin on SciFri, and read an excerpt. 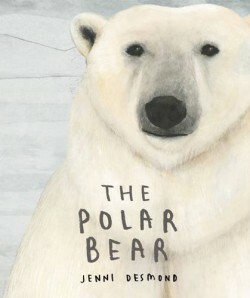 The story follows a little girl who, in a delightful meta-touch, pulls this very book off the bookshelf and begins learning about the strange and wonderful world of the polar bear, its life, and the fascinating science behind it. At a time when we can no longer count on politicians to protect the planet and educate the next generations about preserving it, the task falls solely on parents and educators. Desmond’s wonderful project alleviates that task by offering a warm, empathic invitation to care about, which is the gateway to caring for, one of the creatures most vulnerable to our changing climate and most needful of our protection. 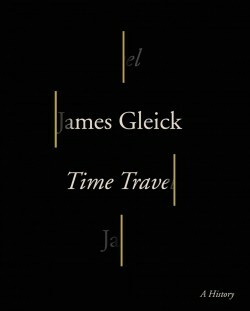 From science historian and writer extraordinaire James Gleick comes a grand thought experiment, using physics and philosophy as the active agents, and literature as the catalyst. Gleick explores how time travel fantasies originated, what technological and cultural developments fomented this distinctly modern impulse of the collective imagination, and how it illuminates our greatest anxieties. What emerges is an inquiry into why we think about time, why its directionality troubles us so, and what asking these questions at all reveals about the deepest mysteries of human consciousness. Read the complete list from Science Friday here.